The buildings housed 65 exhibits that showcased new technology in addition to obscure fodder for entertainment. For instance, the Agricultural Building, designed by Charles McKim, featured a 1,500 pound chocolate Venus de Milo.8 In the Electricity Building, Nickola Tesla introduced his invention of the fluorescent light bulb.9 Furthermore, Tesla devised the Alternating Current system to illuminate the “white city.” In an effort to outdo the Eiffel Tower (premiered at the 1878 Parisian Exposition), George W. Ferris built a ferris wheel, which served as the fair’s most popular attraction. Many of the buildings, though built as temporary structures, were later destroyed in a fire a year after the fair. One of the few buildings that have survived is the Science and Industry Museum. Although the physical manifestation of the exposition has been lost, the legacy of the fair has endured in terms of city planning, architecture, literature, music, and art. The City Beautiful Movement emerged in response to the 1893 World's Columbian Exposition. The movement was characterized by the classical architecture and landscape designs seen at the fair. Once visitors returned to their cities, and saw an unorganized and gritty urban landscape in comparison to the "white city," they realized that it was essential for the public welfare to beautify the city. This led to massive public building projects and the erection of war monuments in many American cities including St. Louis, Detroit, and Washington, D.C. In New York City, the urban infrastructure was a chaotic mess, compounded by an influx of immigrants who lived in poor tenement houses and worked in factories. Nonetheless, the City government lacked legislative control over aesthetic elements of the City. Accordingly, the movement led to the creation of numerous art societies seeking to obtain legislative means for aesthetic regulation in the City. This idea eventually led to the preservation of historic structures for the public good with the passage of the Bard Act and the New York City Landmarks Law. In addition, the Bard Act in many ways owes its existence to the City Beautiful Movement.22 The fundamental idea of this movement was that the livability of cities was essential to the health, welfare, and safety of the people. By beautifying the city, the government was providing a benefit to the public, overriding private interests. The Bard Act was passed in 1956, and permitted local municipalities enabling legislation to pass laws that regulate the aesthetics of the city. The "police powers" were extended to mean that the regulation of the physical environment promoted the health, safety, and welfare of the people. 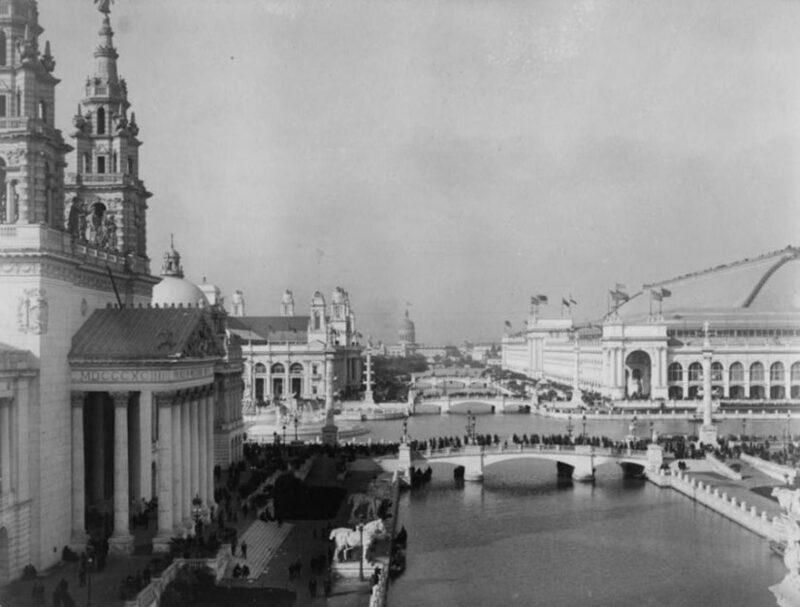 Norman Bolotin and Christine Laing, The World’s Columbian Exposition: The Chicago World’s Fair of 1893 (Chicago: University of Illinois Press, 1992), page 1. Erik Larson, Devil in a White City: Murder, Magic, and Madness at the Fair that Changed America (New York: Crown, 2003). Stanley Appelbaum, The Chicago World’s Fair of 1893: A Photographic Record (New York: Dover Architectural Series, 1980), page 7. ”The Fair Closes in Doom: A Memorial Service to Mayo Harrison,” The New York Times, 31 October 1893. Gregory F. Gilmartin, Shaping the City: New York and the Municipal Art Society New York: Clarkson Potter/Publishers, 1995). Christopher Gray, “Streetscapes/Billboards; The Battles Over Outdoor Ads Go Back a Century,”The New York Times, 17 June 2001. Staff, “A Landmark Decision,”The New York Times, 20 December 1975.